At the eastern end of the Golden Lane stands a round tower, shrouded in legend. Dating back to 1496, the tower, which served as a prison until 1781, is named after its first inmate – Dalibor of Kozojedy. In addition to the dungeon with its monumental vaults, there is a circular opening in the floor through which offenders were lowered into the oubliette with the help of a pulley. The Daliborka Tower is part of the Prague Castle guided tour. 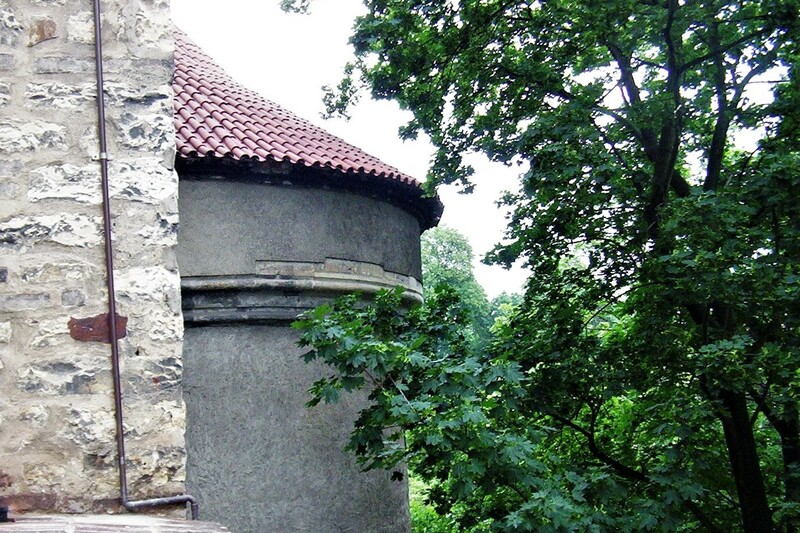 At the end of the Golden Lane (Zlatá ulička), there is a cannon tower named Daliborka, built in the slope above the Deer Moat (Jelení příkop) by Benedikt Ried in 1496. Originally, the tower was higher, but five storeys preserved until today. The top storey has no roof. There are four cells in the ample-vaulted basement, and a round opening in the floor leading to a dungeon, where the prisoners were sunk via a pulley. Dalibor of Kozojedy was the first prisoner in 1498, and the tower was named by him. He was imprisoned for accepting the serfs’ uprising in the neighbouring manor and for taking the rebels onto his premises. Legend says he learned to play violin to earn his living in the tower. Count František Antonín Sporck, popular arts patron, was another famous prisoner. In the tower’s basement, there is the round opening in the floor leading to the dungeon, and the pulley used for sinking the prisoners can also be seen here. 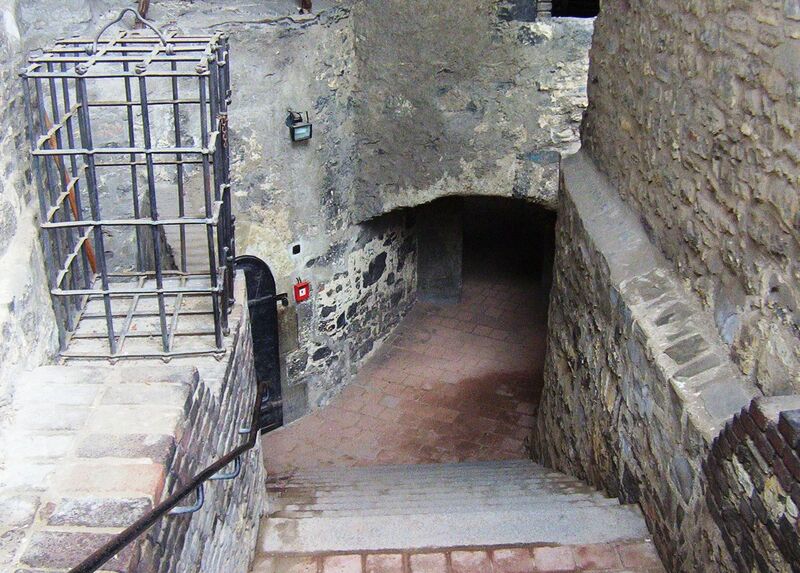 The walls of the dungeon are 2.6 m wide, and there is one more storey below the dungeon, which was used as yet another prison. After 1781, Daliborka was no longer used as a prison.